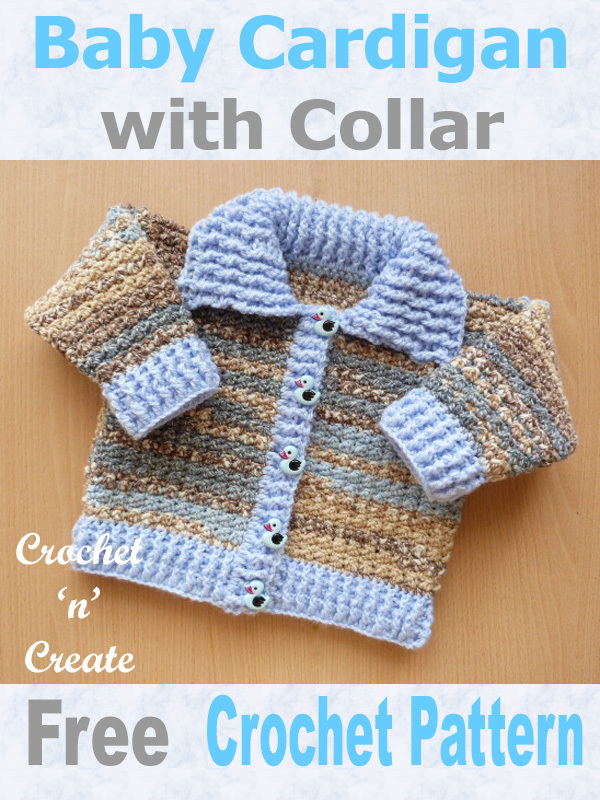 Ribbed Baby Cardigan Free Crochet Pattern – Ribbed baby cardigan with collar, any little one would feel very dressed up and smart when wearing this to go out for the day. I have made it in a variegated yarn, but it would look just a nice in two plain colours. I hope you enjoy crocheting it as much as I did. 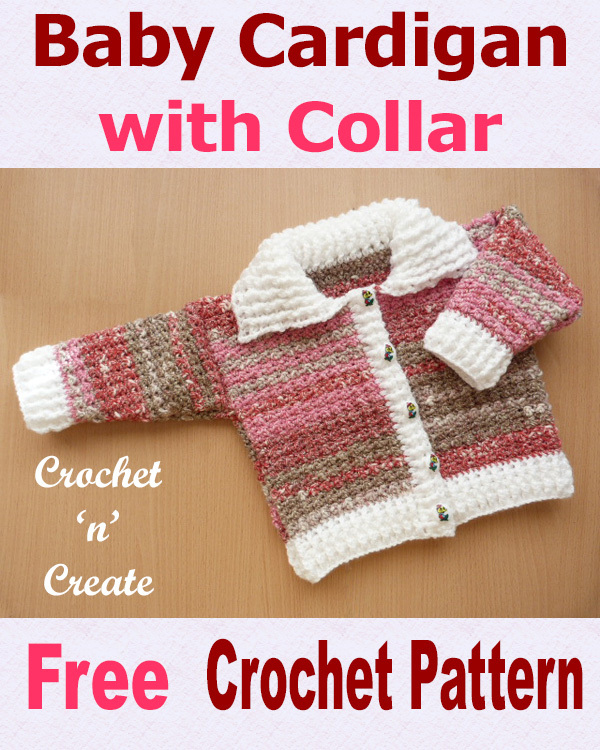 This entry was posted in Baby crochet pattern, free crochet patterns and tagged baby crochet patterns, crochet, crochet cardigan, crochet stitches, free crochet patterns on 25th November 2016 by crochetncreate.